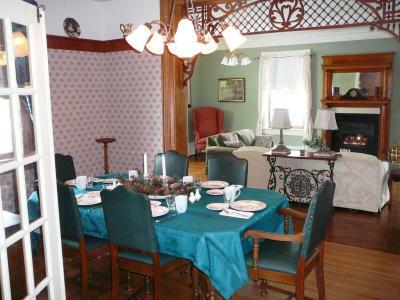 Lock in a great price for Gables Bed & Breakfast - rated 9.7 by recent guests. Could not have picked a better place to stay, Lois and Bill were fantastic hosts, from the comfy rooms to the delicious breakfast (and Biscotti) to the wealth of information about the property and surrounding area. This was a hidden gem. Will definitely be back!! Lois and Bill were absolutely delightful! Loved every minute of our stay. Great location! Delicious food. Amazing customer service from check-in up until check-out. Definitely coming back! Absolutely great experience. A short drive from the Blue Mountain. French toast was excellent. Enjoyed the game. Thanks for the beer. Bill and Lois are fabulous hosts and went out of their way to make sure we felt welcome, were comfortable, and gave us great advice around local activities. 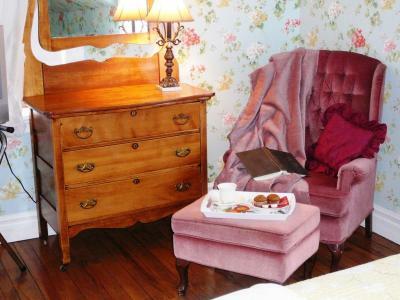 Don’t hesitate to book this wonderful B&B! 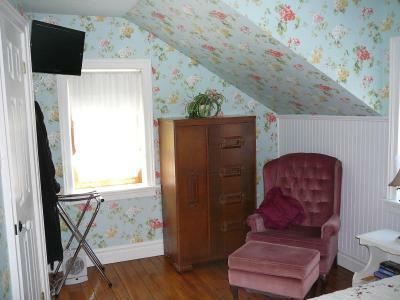 The Gables exceeded our expectations on pretty much every score. Lois & Bill were exceptional hosts, easygoing and friendly, discreet and attentive to detail, and great cooks too! 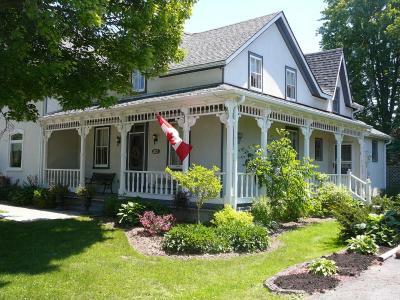 The property is located on a residential street within close walking distance to Foodland, LCBO, and the restaurants and shops of downtown Stayner. 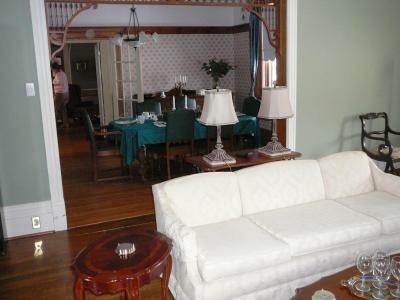 The hot tub, wing-back chair by the fireplace, and wonderful breakfasts were bonuses. Our room, linens, towels, etc., were all clean and nice. When my car door's lock iced over and wouldn't close, Bill checked up on us, then came out two minutes later with a heat gun and WD-40 and sorted us out. We would definitely stay at the Gables again. We were welcomed with a friendly proud owner who led us on a complete tour of the property answering all questions The home was lovely Victorian style and furnished with extremely comfortable beds and private bathroom. The morning breakfast was started with coffee juice tea and a delicious fruit cake then followed with a special recipe pecan Yorkshire pudding type pancake shared with new friends and laughter. 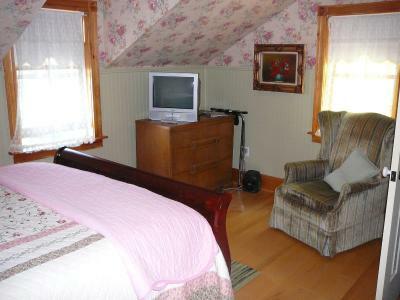 Friendly host, Lovely property, Great bedroom. Delicious breakfast. What more could you want? 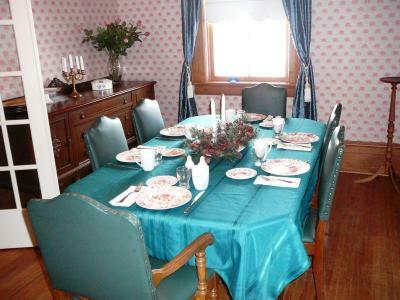 The delicious breakfast, location, lovely caring attentive & socialable Hostess. Fridge in room a great asset. Beautiful classy antique house. Lois and Bill were very friendly and made us feel welcomed in their home. The breakfasts and biscotti Lois makes are lovely. You certainly don’t need to eat for several hours afterwards! Sleeping accommodation was great.... soft pillows which were much appreciated! Antique dishes, gourmet breakfast, great conversation with proud owners, robes in room for hot tub or morning coffee on deck. Cozy bedrooms with country feel. 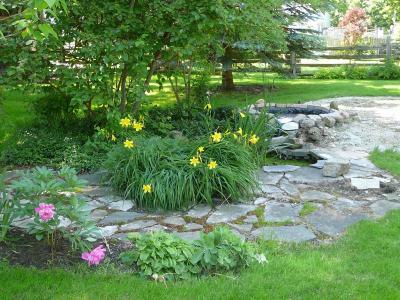 Offering a wrap-around communal porch, the Victorian-style Gables Bed & Breakfast is surrounded by a well-tended garden with a pond. It features a year-round salt water hot tub, daily breakfast and free beverages throughout the day. 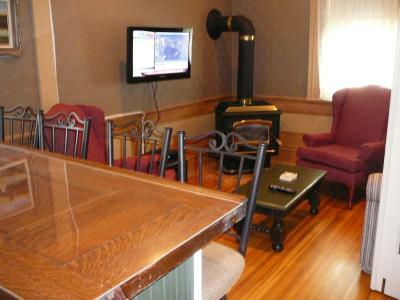 Overlooking the garden, each room comes with free Wi-Fi, a seating area, cable TV, fridge and air conditioning. Free toiletries and a hairdryer stock the bathroom. Some include a fireplace and sofa. A storage area for motorcycles, bicycles, skis, snowmobiles and ATVs is available. Bicycle and Snowshoe rentals are offered at no charge. Gables Bed & Breakfast is within a 1-minute walk from the centre of Stayner Town. 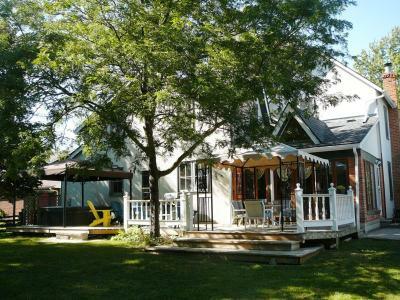 Wasaga Beach and the town of Collingwood are both 15 minutes' drive away. 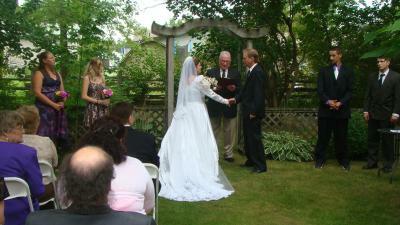 It is 7.5 miles from Batteaux Creek Golf Course. 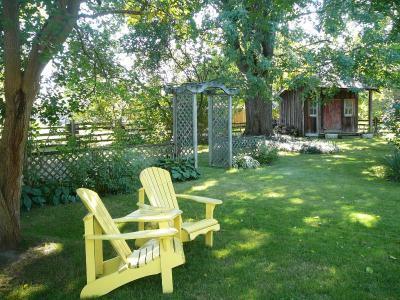 This property also has one of the best-rated locations in Stayner! Guests are happier about it compared to other properties in the area. 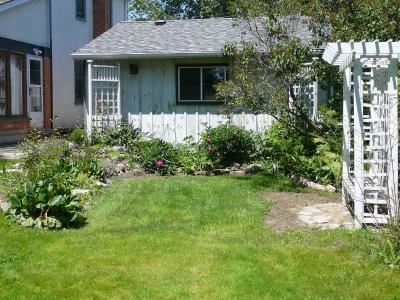 This property is also rated for the best value in Stayner! Guests are getting more for their money when compared to other properties in this city. 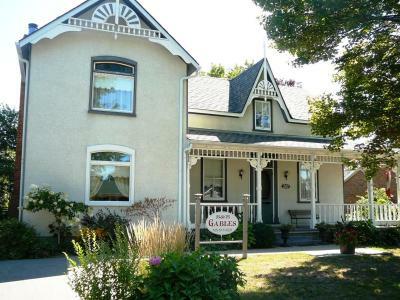 Gables Bed & Breakfast has been welcoming Booking.com guests since 21 Jun 2013. 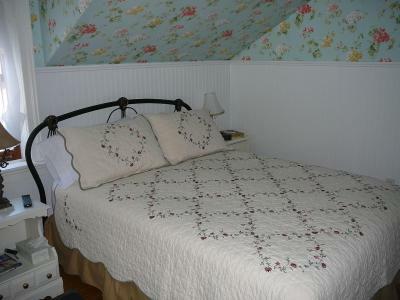 When would you like to stay at Gables Bed & Breakfast? 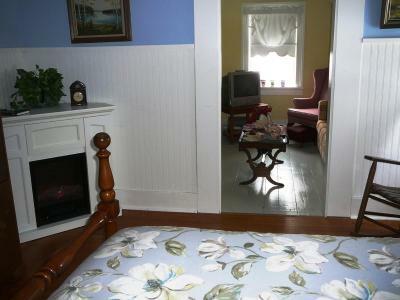 Offering views of the garden, this room enjoys a cable TV and air conditioning. 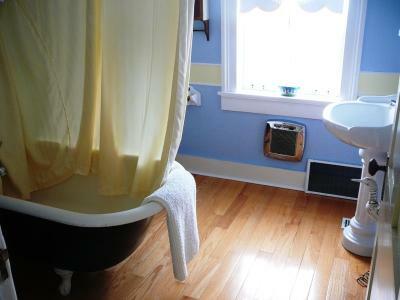 The bathroom features toiletries and a hairdryer. 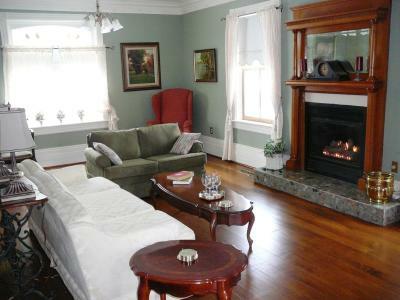 Offering a fireplace and sofabed, this room enjoys views of the garden area. It includes a cable TV and air conditioning. The bathroom features toiletries and a hairdryer. 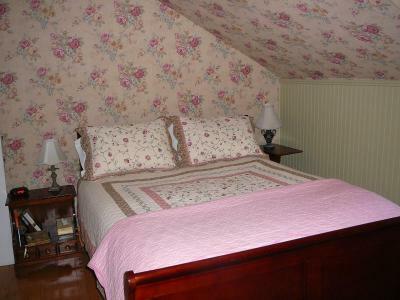 House rules Gables Bed & Breakfast takes special requests - add in the next step! Bankcard Gables Bed &amp; Breakfast accepts these cards and reserves the right to temporarily hold an amount prior to arrival. Gables Bed & Breakfast accepts these cards and reserves the right to temporarily hold an amount prior to arrival. The age and the number of children travelling with you must be stated at the time of booking. If you have any food restrictions or sensitivities please let the property know at the time of booking. Our hosts were wonderful and very helpful. I would definitely return. The breakfast was excellent. The host was very welcoming and made us feel very accommodating. Lois and Bill make you feel at home. The house is an amazing antique property you can't stop admiring on every detail. The outdoors hot tub is a wonderful experience. The breakfast is plenty and delicious. Highly recommended. I visited with my husband for our anniversary and we'll be back for sure. Lois and Bill are amazing hosts. They went above and beyond to make our stay comfortable. Breakfast was delicious. Beautiful historic home, warm and inviting. Bed was very comfortable and room had everything you might want - private bathroom, television and mini-fridge, even robes! But the breakfast was just out of this world. Everything home-made (including biscuits, jams and spreads) - wonderful variety - real maple syrup - homemade biscotti! And the hosts just couldn’t be friendlier - one of the best B&B experiences I’ve ever had! The breakfast was incredibly delicious, the hot tub was easy to use, the bed was so comfortable, and the owners were so friendly! Our hosts were very hospitable.